Once your cropping tracker has been setup for a season, you can then head in and begin building a budget for each of your crop types. 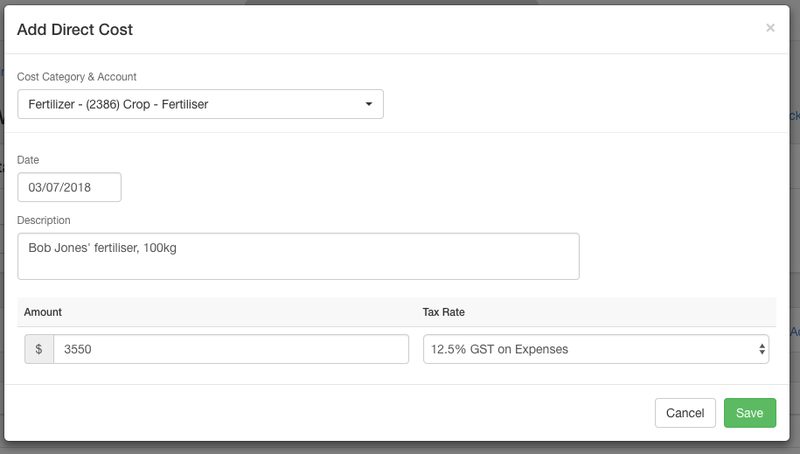 You can either build a budget from the main page of your cropping tracker using the Add transaction button, or (we recommend) you head into Crop season detail and build it from there. Once inside your crop season detail, you'll need to set your area as well as the expected sale price. This will flow through to your KPIs in your cropping tracker. If you have fields or paddocks that you wish to associate with a crop, you can add this information in to your crop season detail. If you haven't setup the fields on Figured already - we'll take you through those steps. The final piece you can configure is the Production completion date which is the date you expect to have everything harvested and sold. After the season details have been set, you can then add in budget production, direct costs, and sales (or decreases). To switch the sales to be per unit or total, use the dropdown on the right hand side of the sales window. 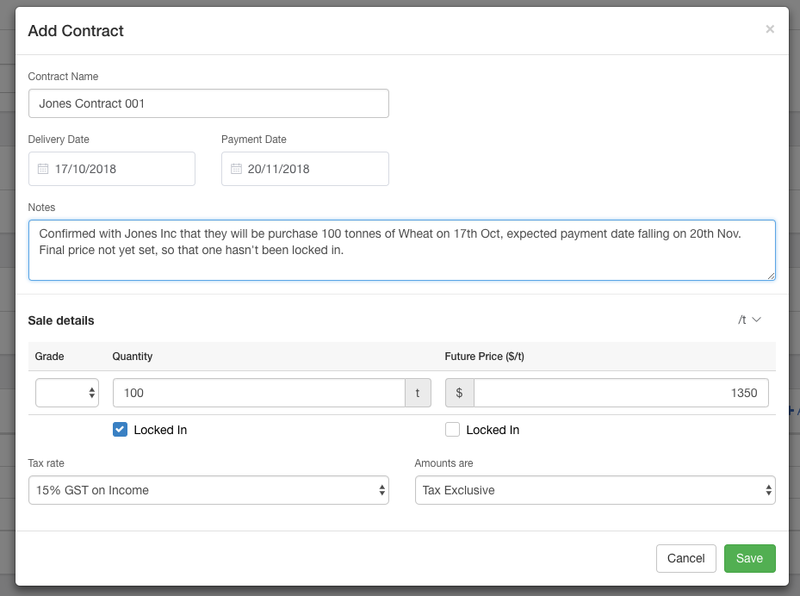 If you have contracts associated with the sales of your crops, you can add these into your crop season detail - just like you would a sale - and you can opt to lock in the quantity of crop you'll provide and / or the future price of the crop. All of this information then flows through to KPIs displayed on the main cropping dashboard and the crop season detail itself. For contracts, these flow through to your crop marketing report. 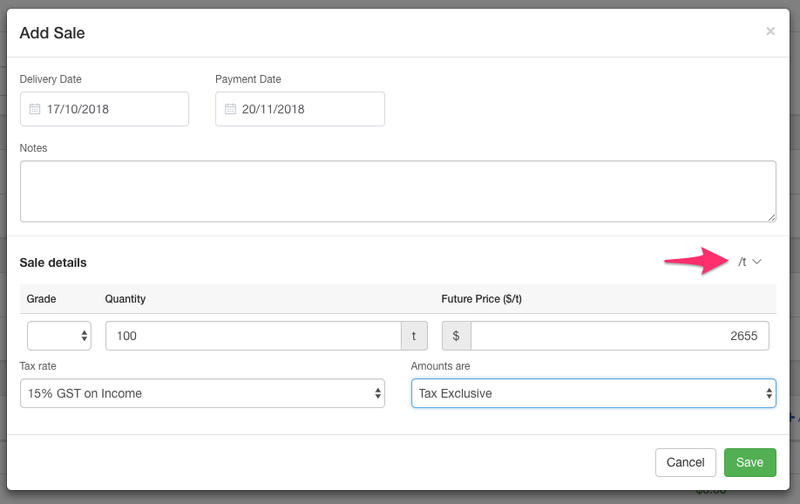 With your budget confirmed and approved in the planning tab, you can then instantly build out your forecasts by copying these from your budget. After your forecasts have been copied in, you can then make any adjustments to the forecasts by heading into crop season detail and changing the date selector to actuals + forecasts. If you need to add more detailed transactions into your cropping trackers, such as recording you're using a harvested crop type for feed, you would do this on the main cropping dashboard.